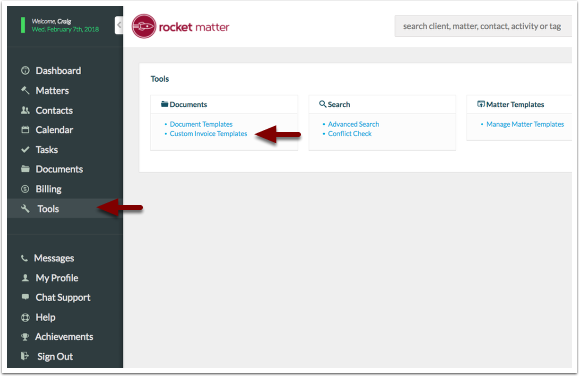 Rocket Matter Knowledge Base Invoice TemplatesSummary Template: How to modify my Summary Template. 1. 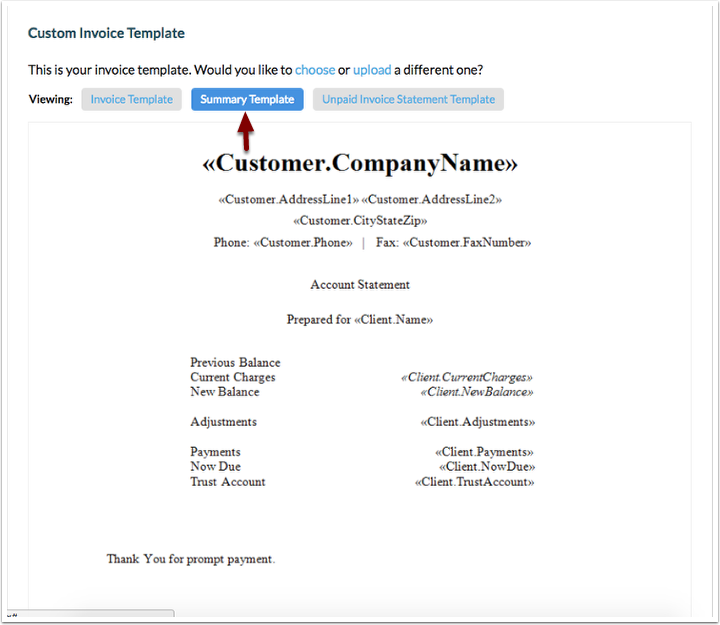 Navigate to your "Tools" and select "Custom Invoice Templates". 3. Download this summary template to begin modifying your template. Use the merge fields provided and upload when you're finished. 4. Upload modified template when complete. 5. Select the invoice template you wish to upload. Drag and drop or click to browse your files, click 'Next'. 6. Once completed, the template will be the default Summary Template. Prev: Invoice Template: How do I add a logo to my Invoice Template? Next: Unpaid Invoice Statement: How to modify my Unpaid Invoice Statement Template.